Five years in the making, the documentary “After Coal” – which profiles individuals creating sustainable communities as central Appalachia and South Wales transition away from a fossil fuels economy – premieres this spring on two continents. The feature-length film, created through Appalachian State University’s Center for Appalachian Studies, premiered at two U.S. film festivals in April: New Jersey’s Princeton Environmental Film Festival and Ohio’s Athens International Film Festival. On May 27, it will be shown at Wales’ Hay Festival in Hay-on-Wye in the United Kingdom, featuring the music of alumni Rebecca Jones ’09 ’11 and Trevor McKenzie ’10 ’12, who assisted with the film’s production and soundtrack. “The film’s focus on sustainability, global learning and community engagement provide an excellent showcase for Appalachian’s work in these important areas,” said director and assistant professor Tom Hansell. He and Pat Beaver, Appalachian studies faculty emerita, were the film’s producers. 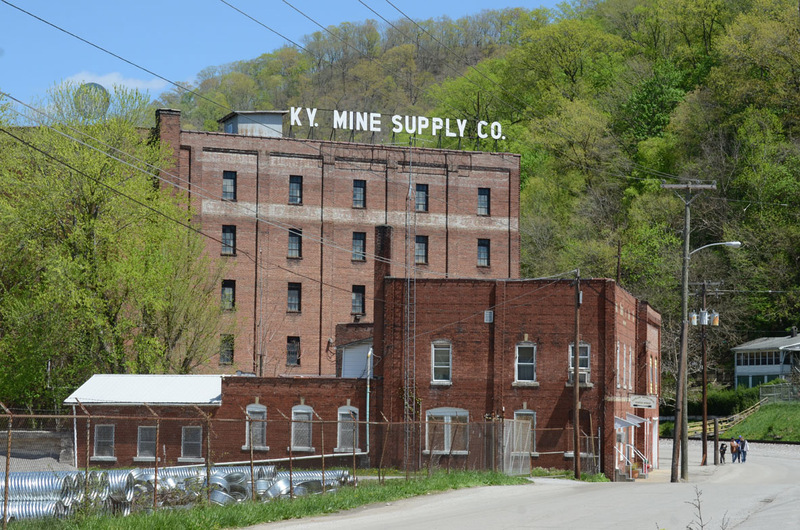 Between 1994 and 2014, central Appalachia’s coal industry eliminated more than 20,000 jobs as energy markets shifted, energy policies changed and the natural resource become more depleted. Wales’ coal industry declined more than decade earlier, eliminating more than 20,000 jobs in the 1980s for many of the same reasons. As a filmmaker who spent much of his career living and working in the coalfields of eastern Kentucky, Hansell began to ask: What happens to coal mining communities after the mines shut down? Why do some places survive while others become ghost towns? “These questions are close to my heart. I have a stake in the communities that are facing the limits of our fossil fueled economy,” said Hansell, who has taught Appalachian studies at the university since 2008. Inspired by the Center for Appalachian Studies’ 30 years of exchange between the two coalfield regions, Hansell and Beaver began answering these questions by turning to the W.L. Eury Appalachian Collection. It contains more than 150 video tapes of daily life in South Wales recorded in 1974 by Appalachia scholar Helen Matthews Lewis, sociologist John Gaventa and filmmaker Richard Greatrex as Welsh coalfields were beginning to shut down. “After Coal” combines these archival materials with new interviews and footage by Hansell and Beaver in Wales and eastern Kentucky for a depiction of the similar story lines between the two continents. The film features the hope each region is discovering as community members seek to rebuild their communities’ infrastructure – through education initiatives, the arts and the recreation industry. “There are similarities but also differences” in these U.S. and U.K. communities, Hansell explained. Appalachian alumni Rebecca Jones ’09 ’11 and Trevor McKenzie ’10 ’12 helped with several aspects of the film’s production. An archivist in the W.L. Eury Collection of Appalachian’s Belk Library and Information Commons, McKenzie became involved in the early stages of the documentary by processing a portion of Lewis’ scholarly papers. Jones, who now works for Ken Burns’ Florentine Films, was involved in the film’s research, videography and editing. This included 10 months of combining new footage from Wales and Appalachia with the archival footage from Welsh coal towns. As musicians, Jones and McKenzie also recorded together several fiddle, banjo and guitar versions of the gospel song “Looking for the Stone” for the documentary soundtrack. They will perform in a concert featuring Welsh and Appalachian musicians as part of the film’s premiere at the Hay Festival in Wales in late May. Also attending the premiere will be students participating in a study abroad course called “Appalachian and Wales” led by the Department of History and Center for Appalachian Studies. “After Coal” is one piece of the Center for Appalachian Studies’ engagement in south Wales this summer. Students participating in the study abroad course will be conducting a digital research project with the village of Seven Sisters to examine social history through rugby, participating in a fundraiser for a local non-profit, and expanding links between Appalachian and Swansea University, including a semester abroad program for MA students. After earning degrees in history and Appalachian studies, Trevor McKenzie now works as an archivist in Belk Library and Information Commons. She turned her time in Appalachian’s Department of Communication and Center for Appalachian Studies into a job with filmmaker Ken Burns. “After Coal” is a project of the Center for Appalachian Studies at Appalachian State University. Fiscal sponsorship was provided by The Southern Appalachian Labor School and the Southern Documentary Fund. It was funded in part by the Chorus Foundation, the West Virginia Humanities Council and United States Artists. Director and co-producer Tom Hansell’s documentary work has been broadcast nationally on public television and has screened at international film festivals. Hansell’s documentary “Coal Bucket Outlaw” was broadcast on public television in 30 states. His most recent documentary, “The Electricity Fairy,” screened at the Museum of Modern Art in New York in 2010 and was selected by the SouthArts for the Southern Circuit tour of independent filmmakers. “After Coal” is Hansell’s first international project. Co-producer Pat Beaver directed the Center for Appalachian Studies at Appalachian for 20 years until her retirement in 2013. In that position, she coordinated the groundbreaking Appalachian Land Ownership Study in 1978, which found that absentee individuals and corporations owned 43 percent of land in an 80-county region within five states, hosted an exchange of Welsh miners in 1979, and started a Welsh study abroad program in 2001. This spring, she received the 2016 Western North Carolina Historical Association (WNCHA) award for outstanding achievement for making significant contributions in preserving and promoting the history of the Appalachian mountain region. If we don’t treat each other right, how can we do right by the earth? The idea of sustainability broadens as Earth Day celebration April 22 includes Affrilachian Poets. In the community of Elk Knob, NC, Art has the ability to preserve the community’s heritage and connect individuals to their rich history. Stories from stock car racing’s early days are among the artifacts documented in Appalachian’s Stock Car Racing Collection in Belk Library and Information Commons. Production of “After Coal” took place over a five-year period in central Appalachia and Wales, where the coal industry has declined. Here, director Tom Hansell and cinematographer Suzanne Clouzeau interview entrepreneur Geraint Lewis in the Dulais Valley of South Wales. Photo by Mair Francis. The landscapes of Appalachia and Wales are similar. Can you tell where this photograph was taken? See answer below. 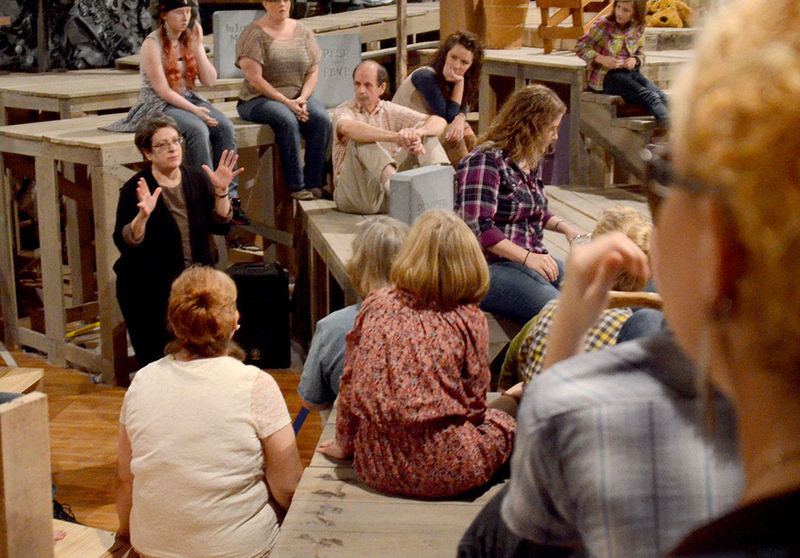 The arts are among ways culture is being maintained in eastern Kentucky as the coal industry declines, including this theater production in Harlan County. 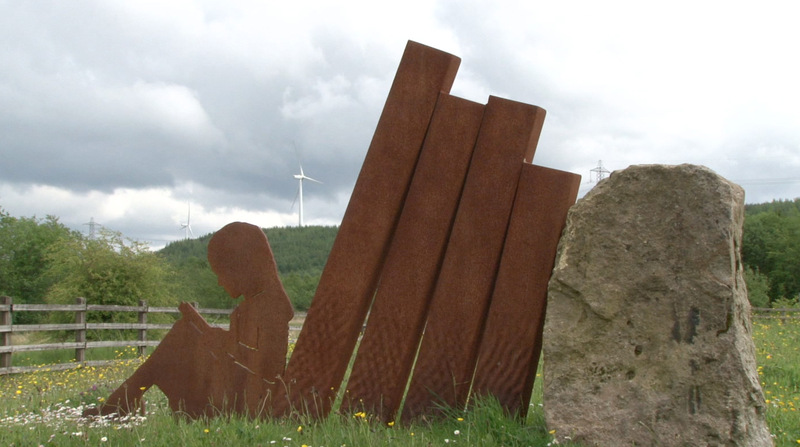 A sculpture outside the DOVE workshop in Banwen, Wales. The DOVE workshop is a women-led education and entrepreneurship project located in a refurbished coal board office. Wind turbines are visible in the background. Both regions have survived disasters associated with mining production and waste disposal. Each has explored strategies for remembering the past while looking to the future. Photo No. 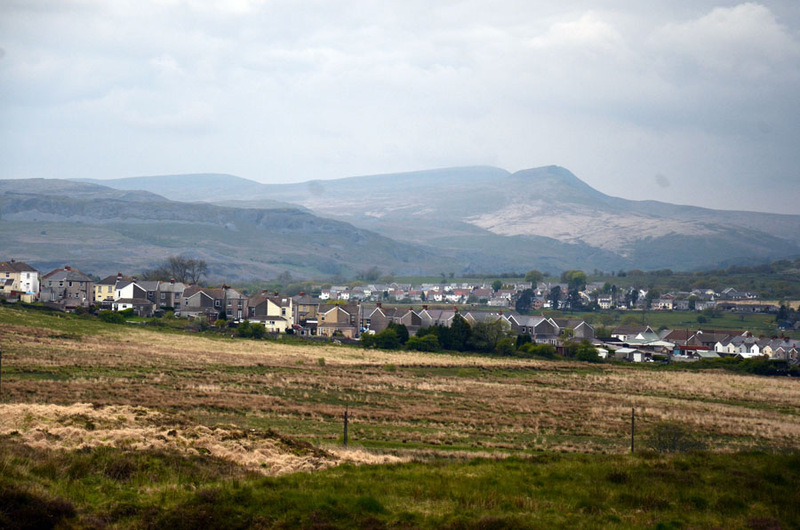 3 was taken in the Dulais Valley of Wales.